Before I get into the weeds about my week with the Breitling Navitimer 8 B01, it's important to first explain why this specific collection is significant in Breitling’s history. As you may know, in 2017 the family that once owned Breitling decided to sell a majority stake in the company for almost a billion dollars to a private equity firm – and not to Richemont, LVMH or even Kering, groups that most observers thought would be the likely suitors of this famed watch brand. The sale, one of the largest in the watch industry in recent years, marked a new chapter for the independent brand and for new CEO Georges Kern, previously known for his work at IWC. Immediately after the sale announcement, Kern implemented his long-term vision for Breitling. Labeled “Legendary Future,” the campaign debuted with the Navitimer 8, a marked departure from previous Navitimers. But it’s a good departure, and here is why. Undoubtedly, the Navitimer is still one of the best tool watches for aviators and ship captains. The watch’s slide rule, useful for pilots and ship’ captains, is the watch’s hallmark. 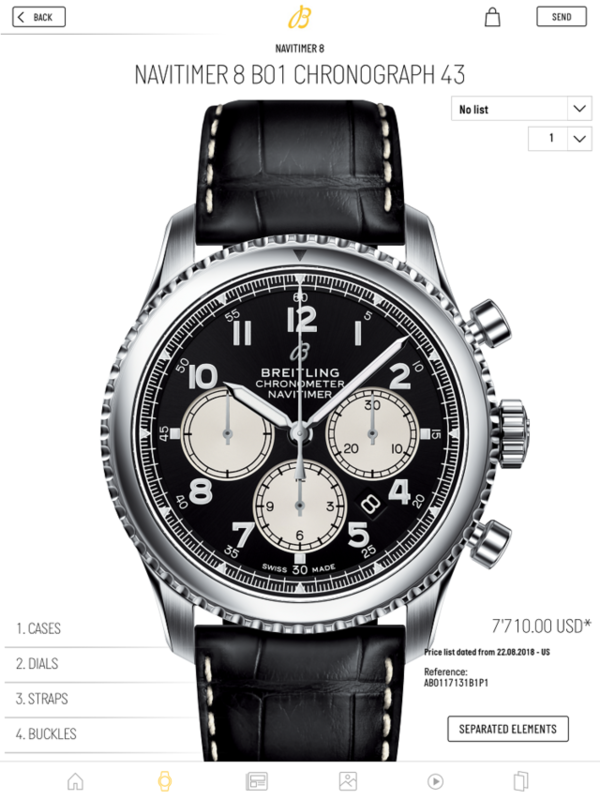 But today we have a new series of Breitling watches that carry the Navitimer name, but not the slide rule. 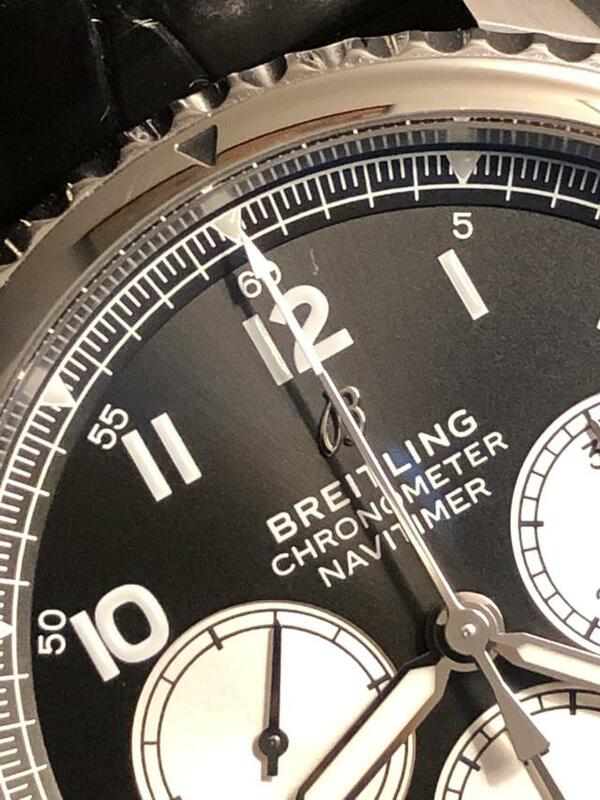 These are not traditional Navitimers, but Navitimers that have been rethought, redesigned and built from the ground up with scant trace of what many think of when considering a Breitling Navitimer. 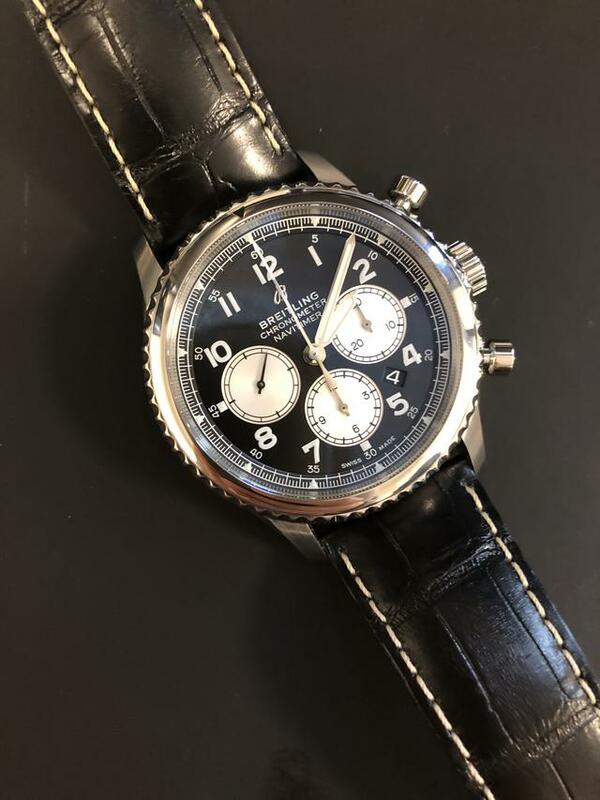 Let’s take a look at the Breitling Navitimer 8 B01, the early 2018 debut that I enjoyed on my wrist for several weeks recently. We have the case at 43mm in diameter and 13.9mm thick, common proportions for Breitling. Yet on the wrist, the case feel is significantly different when compared to earlier Navitimers, in large part because of the new model’s shortened lugs. It was an excellent call to shorten the once 55mm-size lugs that we still see in both the other Navitimer and Transocean models today. This makes for more ergonomic wearing. The watch is more comfortable on the wrist for longer periods of time, especially on the gator strap, while eliminating the occasional wrist pinches. The Navitimer’s rotating bi-directional bezel is still silky smooth with every turn, only now there is nothing on it but a beautifully polished round top with a single black indicator. It’s cleaner. 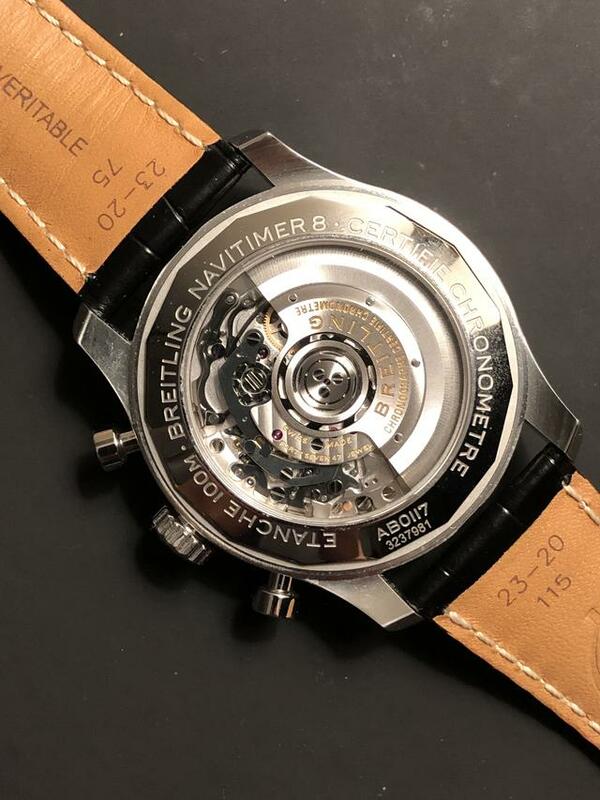 Inside the case, the dial takes on an entirely new form, also leaning toward an understated direction that makes for a big look with fewer elements. 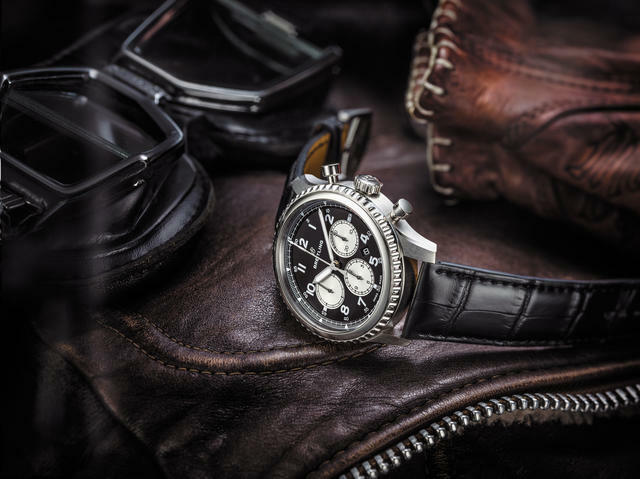 Breitling says the look is inspired by a lesser-known era within Breitling’s history in the 1930s when it manufactured airplane cockpit dials. Of course the pilot’s ability to read the information easily and clearly was a necessity. Here, it's an aesthetic choice, but it does offer a less cluttered appeal that allows for small details like the rail line inner chapter ring. 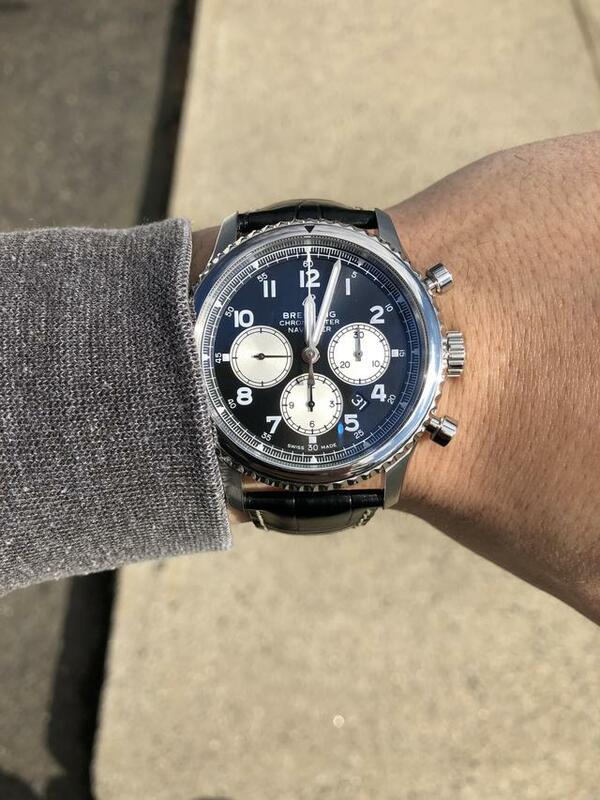 The white-tipped chronograph seconds hand pops much more without the busier Navitimer traditional dial. Powering this, the in-house manufactured Caliber B-01 chronograph movement, has certainly earned its title as a Breitling’s workhorse for more than fifteen years. It boasts more than sixty hours for power reserve and a chronograph that is activated via a column wheel. As a complete package ($7,710) there is certainly much to like about the Breitling Navitimer 8, with its new case design, shortened lugs, and cleaner dial. This watch added a new layer of elegance that we hadn’t normally seen with Breitling. 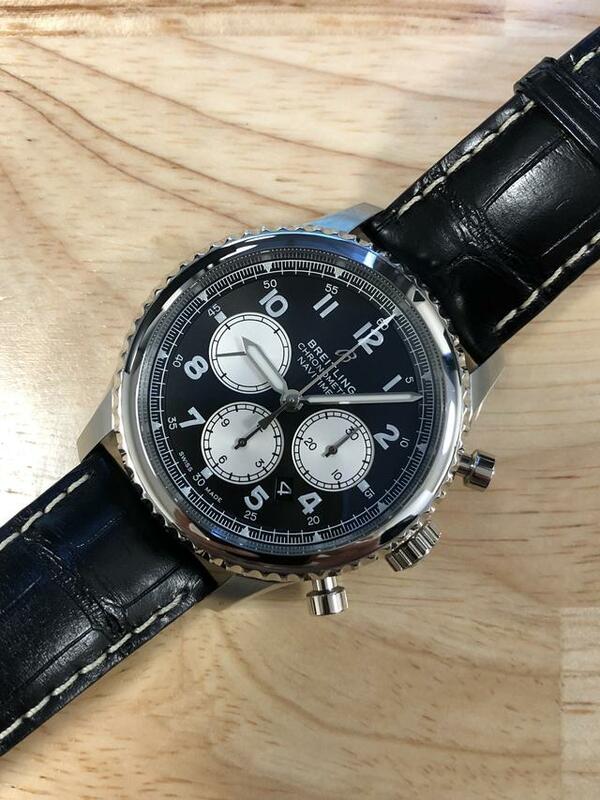 Breitling Navitimer 8 B01 Chronograph 43_Steel Case, Black Dial on Black. With the Legendary Future tag line, it seems more folks are being drawn to Breitling–and with good reason. If you have already seen the latest Navitimer, the historically accurate limited edition 1959 Navitimer 806 that Breitling just debuted in Baselworld, you can see why Navitimer purists will now rejoice. I suspect I will too–once I try one on.